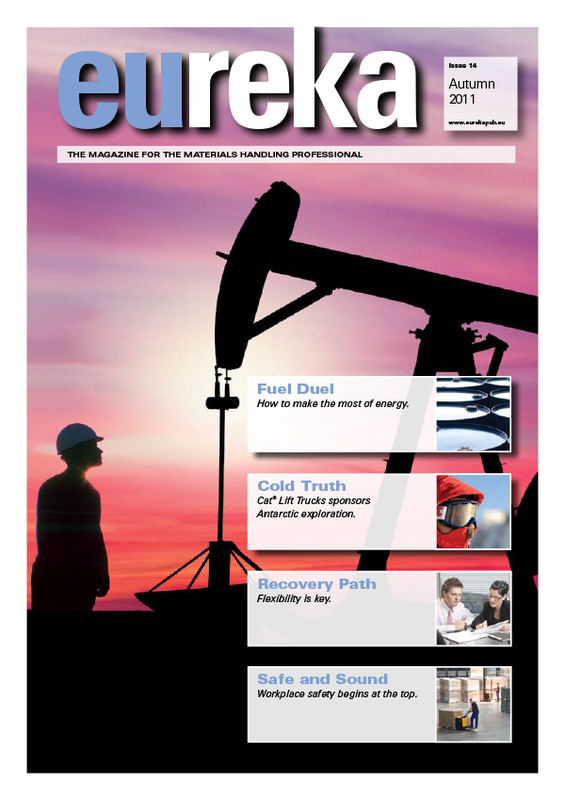 The quest for sustainable energy sources in materials handling. Power sources for tomorrow’s lift trucks are being developed in research departments today. 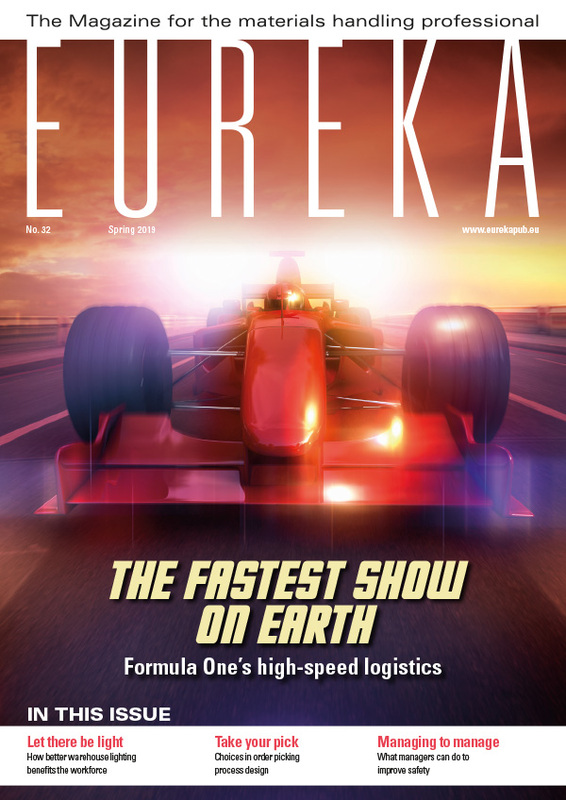 eureka has examined the struggle between fossil energy and electricity (eureka 4 and 10) and hybrid developments may also make an impact in the coming decades. Over the long term, however, we need to look at other alternatives. Solar energy is among them and the extent of its potential is demonstrated by an unusual project that is being supported by Cat® Lift Trucks. 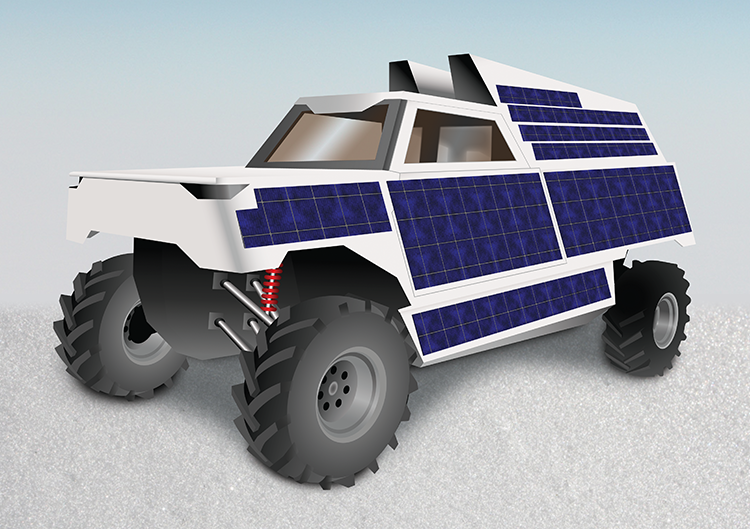 Gian Schiava investigates a solar-powered Antarctic expedition vehicle. 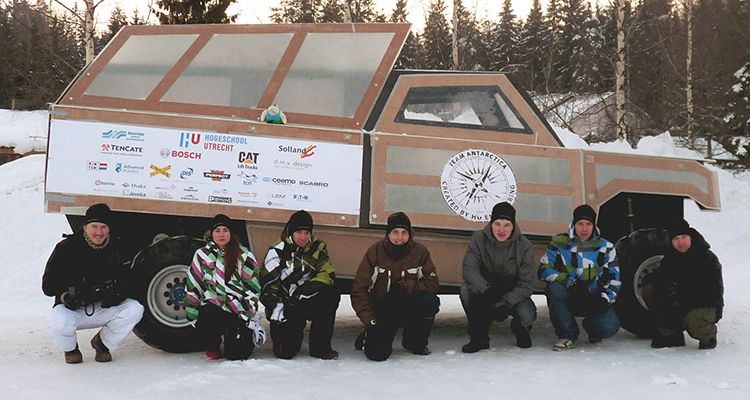 Dutchmen Wilco van Rooijen and Fokke van Velzen together devised and developed a project to build a sustainable, solar powered vehicle, which is intended to take them from Patriot Hills (a field camp on the Antarctic) to the South Pole and back. The 2300 km trip is intended to draw attention to the situation of the Antarctic, which is currently protected against drilling for oil by the Environmental Protocol under The Antarctic Treaty. However this protocol ends in 2048 – and the question being posed is: what happens next? 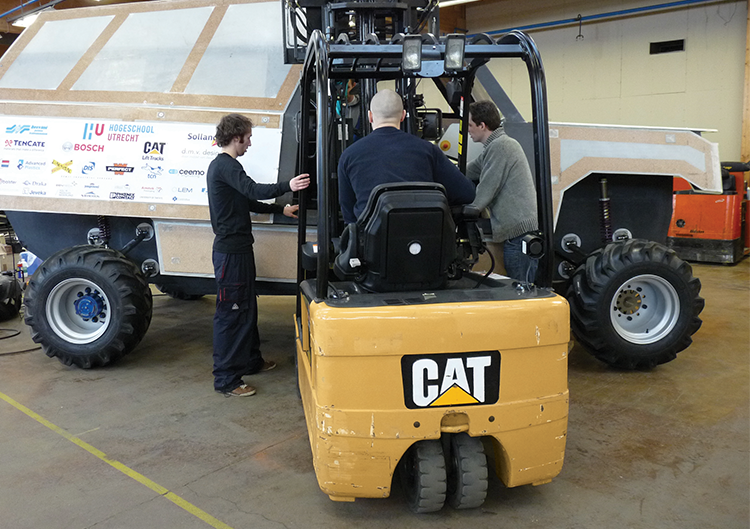 Cat Lift Trucks undertook sponsorship of the crucial vehicle test phase. The adventurers intend to seek an answer through the expedition’s second objective; to inspire young people to focus more on the subject of sustainability. As the decision makers of tomorrow, they will be crucial in creating a world that can survive with alternative energy sources. 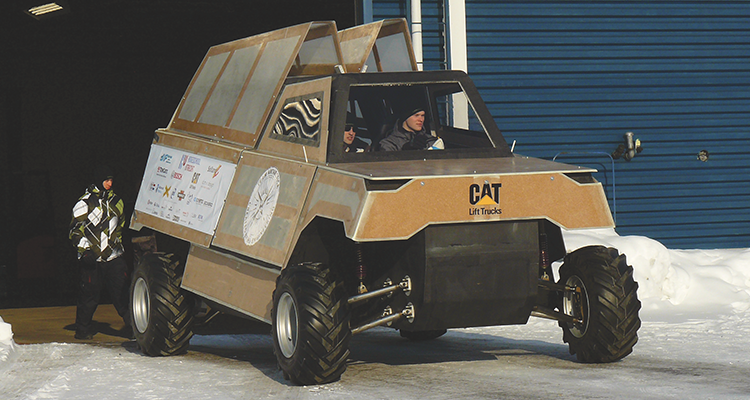 The adventurers asked the University of Applied Sciences in Utrecht, the Netherlands, to design and build the car. The requirements for such a vehicle make up a long list and are a challenge to any group of (upcoming) engineers. 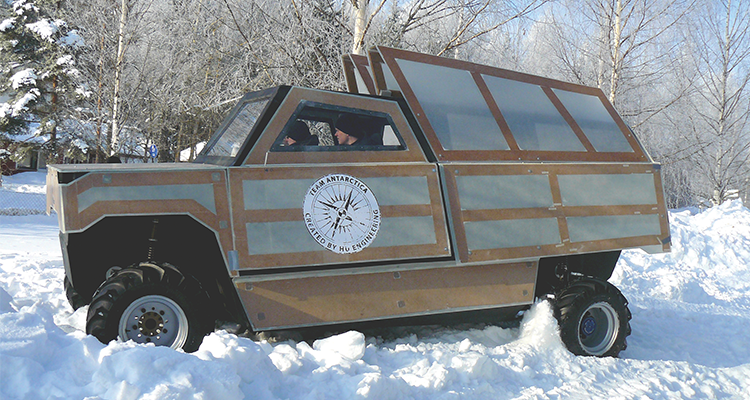 Within the timelines of the project there was one very crucial requirement: testing of the vehicle in an environment as close to the Antarctic climate as possible. 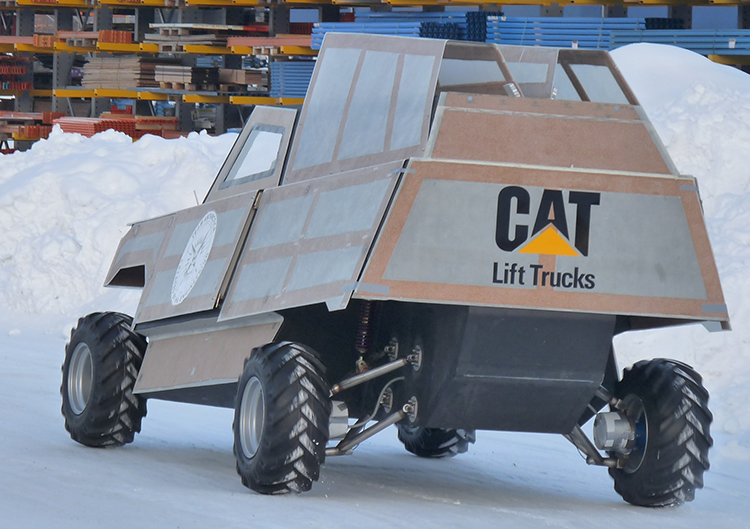 The project fits well within the goal of reducing fuel emissions and finding new power sources for the materials handling products of tomorrow and Cat Lift Trucks undertook sponsorship of the crucial test phase. A crew of seven people left for cold Finland in February 2011 to perform a severe test programme, which served as input for the development of the final vehicle. The car was tested on driveability, steering, speed, braking and other vital functions. The regenerative braking system, which should result in energy being recovered and returned to the batteries, was tested for functionality. Naturally, several types of surfaces where tried and tried again. The outcomes of the test will be incorporated into the final vehicle. The team from the Utrecht University of Applied Sciences are handing the project over to a completely new team, who will undertake completion of the vehicle. In this phase, the university students will be supported by students of other schools, such as the ROC of Amsterdam, which will help to spread awareness of the project. The new team will develop a new electronic drive system, which will incorporate data that will help the driver to drive as efficiently as possible. Better tyres will also have to be found, as those on the test had a tendency to dig themselves into the snow. In addition, the solar panels will have to be prepared and tested thoroughly. These and other engineering jobs will have to be completed before a final test can be made. It is expected that the vehicle should be ready by January 2012. Wilco and Fokke will then undertake one more test and the vehicle will then be shipped to the Antarctic in Autumn 2012. The project’s progress can be followed on www.teamantarctica.nl.